Life has found ways to overcome, and even thrive, in many extreme situations—from super saline pools to the high temperatures of hydrothermal vents. A new experiment has shown that the microgravity found in space is also an environment in which life can adapt. Researchers at the University of Houston used two nearly identical strains of non-pathogenic E. coli, a common bacteria found in animal guts, and put them to a test. One strain, NCM520, was grown in a flask under normal Earth-gravity conditions, while the other, MG1655, was placed in a special chamber on loan from the Johnson Space Center that simulates microgravity. 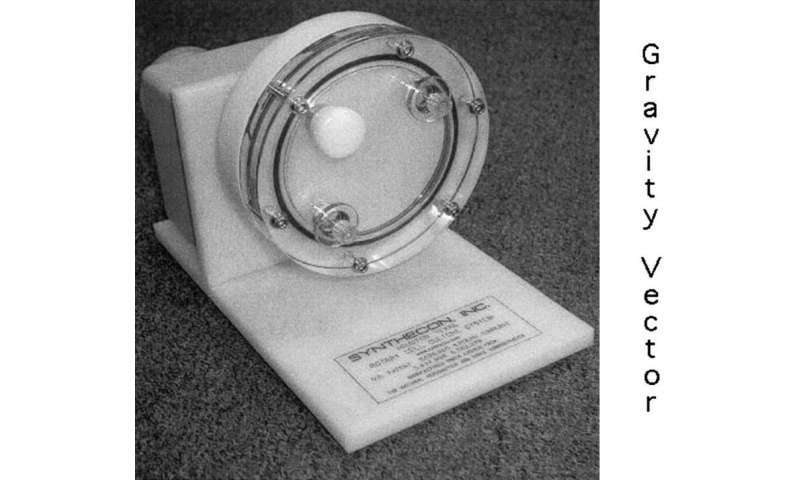 Small enough to fit in the palms of your hands, the High Aspect Ratio Vessel (HARV) rotates slowly (approximately 25 rpm) on its side, so that the microbes growing in the liquid media inside are in free-fall. After growing for a thousand generations in the HARV—far longer than any previous experiments involving bacteria— the MG1655 strain had outgrown the gravity-controlled strain, NCM520, by a factor of three to one. The researchers inferred that the stress of being in a microgravity environment had instigated an adaptation that increased the competitiveness of the MG1655 strain. 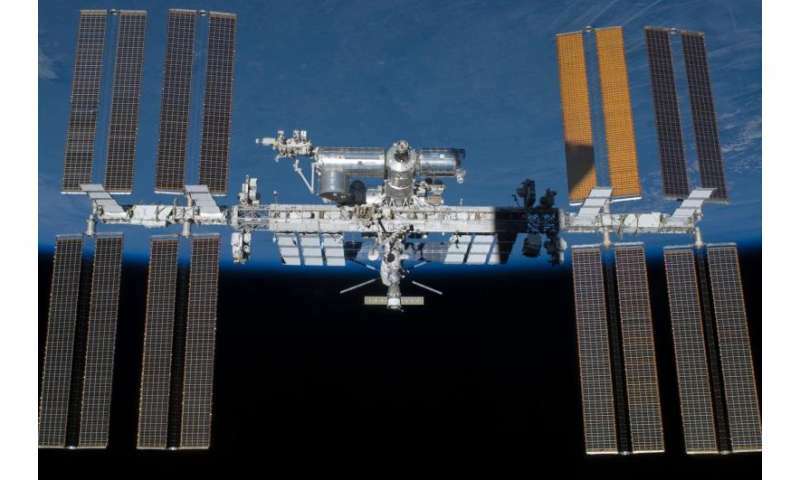 "Conducting these studies on Earth by simulating microgravity is extremely important if we are to get a more comprehensive picture of microbial survival in space,"says Madhan Tirumalai, the lead researcher and a microbiologist at the University of Houston. Tirumalai's team wanted to know whether this adaptation occurred at the genetic level, or whether it was a physiological response to the change in gravity. As an analogy, if a person moves from a cold location to the equator, how does he or she adapt to the change in temperature, and would returning home erase those adaptations? Erasure would mean the adaptations are physiological, not genetic. The researchers found that 72 percent of the MG1655 strain's adaptive advantage was retained following its return to normal gravity and subsequent growth for another 10 or 20 generations. The researchers concluded that while some of the changes were physiological, those that remained when returned to Earth gravity took place at the genetic level and gave the microgravity-adapted strain an advantage over the unadapted strain. Closer scrutiny showed that 16 genes had mutated in MG1655, including five genes linked to the formation of biofilm—the surA, fimH, trkH, fhuA and ygfK genes. Biofilms are thin collections of cells that link together to allow better distribution of resources and adherence to surfaces. An enhanced rate of biofilm formation is advantageous for bacterial survival and this adaptation to microgravity would seemingly improve bacteria's ability to colonize surfaces in space environments. Although Tirumalai's research has implications for bacterial ability to colonize the International Space Station, other researchers might now start asking whether similar adaptation studies could help explore the possibility that bacteria might survive extraterrestrial settings, such as asteroids, comets or small moons. "Put a microbial organism under any stress conditions or in a new kind of environment and over a period of time it will start undergoing mutations in a direction that will help it gain some kind of growth advantage to survive," says Tirumalai. A HARV bioreactor like those used in the E coli microgravity experiments. The findings represent a form of "experimental evolution," in which a bacterial strain's evolution is manipulated by the experimental environments and stresses in which the bacteria is placed, says microbiologist Robert McLean, a biologist at Texas State University who was not involved in Tirumalai's research. "From my perspective, the significance of these findings is that some previously unknown mutations occurred in the strain of E. coli exposed to microgravity," says McLean. "These represent long-term changes, which experimental evolution can test for." There's also a potential connection between the growth of biofilms and the virulence of the bacteria. Although the strains of E. coli that were used in the experiment were not pathogenic, the set of genes responsible for biofilm formation in pathogenic strains are closely linked to the genes involved in pathogenicity. Changes in one set of genes would incur changes in the other set. "There is a probability that the virulent genes would undergo mutations and selection to make strains become more virulent," says Tirumalai. Further evidence of this is the case of the pathogenic strain Salmonella enterica serovar Typhimurium. Previous experiments led by the geneticist James Wilson of Villanova University showed that this strain of salmonella grew more virulent after exposure to microgravity. "Biofilm formation is critical not only for bacterial colonization but it is also linked to bacterial virulence," says Tirumalai. Aside from the astrobiological implications, the findings could also reveal problems for astronauts on the International Space Station or deep space voyages. Biofilms can contaminate water recycling systems, while increased virulence could pose a health risk to astronauts. However, it remains to be confirmed whether bacteria such as E. coli or Salmonella do, indeed, behave in this fashion in a real space environment, or whether microgravity affects other bacteria in this way. "Other bacteria and organisms may do something completely different," warns McLean. Assuming that other bacteria do act like E. coli in microgravity, this could potentially have important consequences for astrobiology. The panspermia theory suggests biological material could be transferred between planetary bodies via asteroids and space debris, but would require microbes to flourish during long periods in space. It is possible that life could have swapped Earth for Mars and vice versa following huge impacts that sent rocky debris packed with microbes into space. 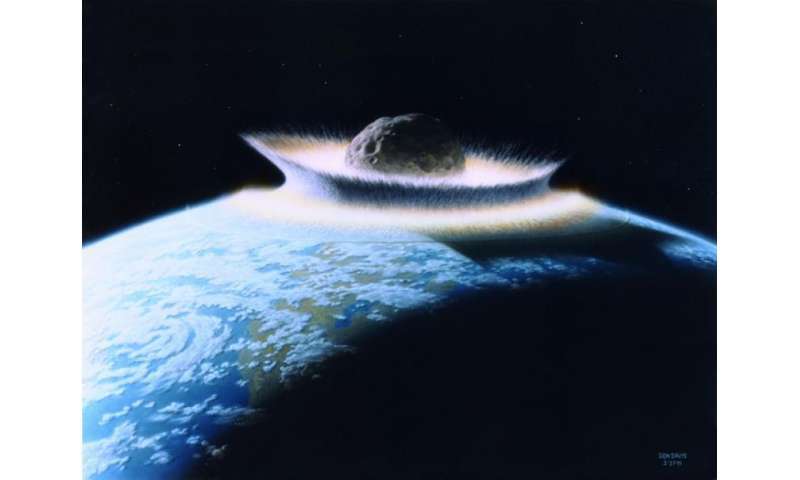 McLean suggests that for life to survive such a journey, it must first withstand the heat and energy of the initial impact that blasted it into space, then the extreme conditions of interplanetary space, and finally the heat and energy of entering the atmosphere and impacting the ground on a new planet. McLean points out that his research shows bacteria can survive re-entry and impact. His group conducted a microbial experiment to test if biofilms could form in space onboard the space shuttle Columbia's final flight in 2003 and found that, miraculously, the bacteria survived the destruction of the space shuttle. It is currently unknown, however, whether increased biofilm formation in space would strengthen the likelihood that microbes could survive space conditions. "I don't know whether biofilm growth would make a difference or not," says McLean, "but it would be interesting to test." Further experiments could take place in HARVs on Earth, but to confirm that bacteria really do behave in similar fashion in space, Tirumalai believes it is crucial that we take these tests into orbit. "It's now very important to conduct these experiments on the International Space Station and see how these organisms respond to real space conditions," says Tirumalai. Given the costs and difficulties in setting up experiments on the space station, he accepts that this may not happen anytime soon.